We all know the story. It was 106 years ago, that the famed Titanic, a British passenger liner, struck an iceberg off Newfoundland. On the early morning hours of April 15, 1912, the gargantuan ship was slowly sucked down into the icy, black waters of the Atlantic. Many of us have read the books. Others have seen the movies. But there is a soul-stirring part of the Titanic tale that is not widely known but deserves to be told. manual labor in a mill to support himself and his parents. One day, a Baptist pastor, EA Carter (of Baptist Pioneer Mission in London) heard the young man preach and decided that Harper must go into ministry. Through the trials and tribulations of life at the dawn of the 1900’s, Harper found himself as a 39-year-old widower with a daughter, aged 6. In 1912, he was pastoring the Walworth Road Baptist Church in London. His reputation had preceded him, reaching even across the great pond to America. He was invited to come preach there. Harper spent three months ministering at the Moody Church in Chicago, during which time the church had experienced a wonderful revival. He had not been back in Britain long when he was asked to return and continue his ministry at Moody. (One report even claims that this invitation was given so that Harper could candidate for the pastorate at the Moody Church.) He quickly decided for himself and his daughter, Nana, to travel back to America on board the Lusitania. 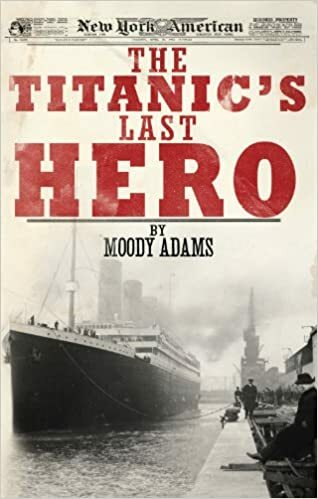 However, he decided to delay their departure for one week, so that they could sail on a new ship, the Titanic, which was about to make its first voyage. On Sunday the 14th of April 1912, the day when the iceberg was struck, the weather was fine, the sea calm. Harper attended the church service for the passengers. His niece reported that during the afternoon she saw her uncle speaking individually to people about their souls. It seems he was in the habit of seeking out lost sheep wherever he went. The Titanic struck the iceberg at 11:40 p.m. As the call was issued for passengers to vacate their cabins, Harper wrapped his daughter in a blanket, told her that she would see him again one day, and passed her to one of the crew members. After watching her safely board one of the lifeboats, he removed his life jacket and gave it to one of the other passengers. One survivor distinctly remembered hearing him shout, “Women, children and the unsaved into the lifeboats!” Harper knew that believers were ready to die but the unsaved were not. He then ran along the decks pleading with people to turn to Christ as the ship sank. (One report even claims that it was Harper who instructed the Titanic’s orchestra to play, “Nearer, my God, to Thee” as the lights went out.) Gathering people around him on deck, he then knelt and “with holy joy in his face” raised his arms in prayer. As the ship began to lurch, he jumped into the icy waters and swam frantically to all he could reach, begging them to turn to the Lord Jesus and be saved. Finally, as hypothermia set in, John Harper sank beneath the waters and passed into the Lord’s presence. The waves bore him away; but, strange to say brought him back a little later, and he said, ‘Are you saved now?’ ‘No,’ I said, ‘I cannot honestly say that I am.’ He said again, ‘Believe on the Lord Jesus Christ, and thou shalt be saved,’ and shortly after he went down; and there, alone in the night, and with two miles of water under me, I believed on the Lord Jesus Christ for myself. I am John Harper’s last convert. Apparently, God wanted this amazing testimony to be shared, because only seven people were plucked from the icy water that night to join the survivors in the lifeboats. This man, Harper’s last convert, was one of them. In the Hollywood movie of the Titanic, nothing was said about John Harper, but he was truly one of the great heroes of that awful night. In the face of death and drowning, he was concerned about the souls of men and with preaching the good news of Jesus Christ. May we too, in our own day and age, have such a concern for the lost and dying to share the gospel with those in need.